The secure 314(b) Collaboration Network provides the tools to enhance online information sharing between financial institutions. What is the FRAMLxchange Collaboration Network? The FRAMLxchange 314(b) Collaboration Network offers FIs, registered with FinCEN for 314(b) information sharing, the ability to easily and securely request and share information pertaining to potentially suspicious activity with other registered institutions. Daily verification of the 314(b) list ensures you are always working with 314(b)-registered contacts. The FRAMLxchange network is a secure environment – allowing you to privately collaborate, either one-on-one or in a group setting, with confidence. Voluntarily request to include additional institutions in a collaboration at any time to gain further insight into possible criminal activity affecting a larger group of FIs — and possibly indicative of a large-scale crime ring. A visual workflow gives you a quick overview of your information requests and collaborations, whether they are pending, active or closed, plus quick links to 314(b) reports — in one convenient location. Easily upload and share files related to your investigation, such as image files or transaction spreadsheets. Collaborating can expedite and improve your investigations by providing you with access to additional information that is vital to building a more complete picture of customer activity. No more relying on spreadsheets and email inboxes to track your collaborations — all your messages, including associated files and notes, are centralized for easy access. Every collaboration is logged and reportable, improving your examination process. There’s no data to import or export and no IT resources required to access or use FRAMLxchange. Just sign up, log in, and start collaborating. Verafin makes it easy to search the up-to-date 314(b) list. Simply begin to type an institution name into the provided search field and matching results are displayed. Then, at a click, you can begin an information request from the institution you need to contact. FRAMLxchange is a Secure 314(b) Collaboration Network that enables investigators who are signed up for 314(b) to share information using collaboration tools available within the secure Verafin application environment. FRAMLxchange is registered with FinCEN for 314(b) information sharing as an association of financial institutions. The FRAMLxchange Secure 314(b) Collaboration Network offers secure, in-app messaging between valid 314(b) contacts who have been verified against the 314(b) list by the Verafin application. You can send, receive and respond to requests for information as easily as you can via text message. Every collaboration is logged and reportable for auditing purposes. Can I join FRAMLxchange if I am not a Verafin customer? Yes. Any 314(b) institution can sign up to use the FRAMLxchange here. 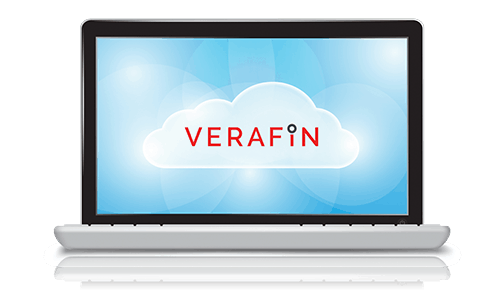 Verafin users can also request a collaboration, and invite non-Verafin users directly from the application, if both are valid 314(b) contacts. How do I access FRAMLxchange for the first time? Email Invitation: You may receive an email request at the email address you provided on the 314(b) list, inviting you to join the FRAMLxchange, and collaborate. Don’t wait for an invitation: Are you a 314(b) institution? You don’t have to wait for an invitation to join! Just go to our sign up page at framlxchange.verafin.com to start collaborating. Join the FRAMLxchange: Just complete the simple form — and your request will be processed automatically. Confirmation of your signup should follow by email, including your secure login details. Log in to FRAMLxchange: Congratulations! You are now a FRAMLxchange member and you can login to the secure FRAMLxchange Network at any time to send, receive or respond to requests. Interested in the FRAMLxchange collaboration network?